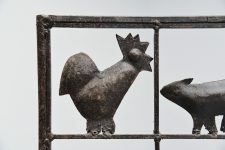 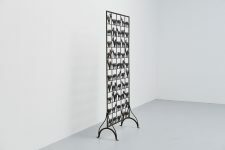 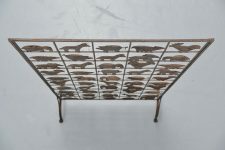 Very nice and highly decorative metal screen made by Atelier Marolles, France 1955. 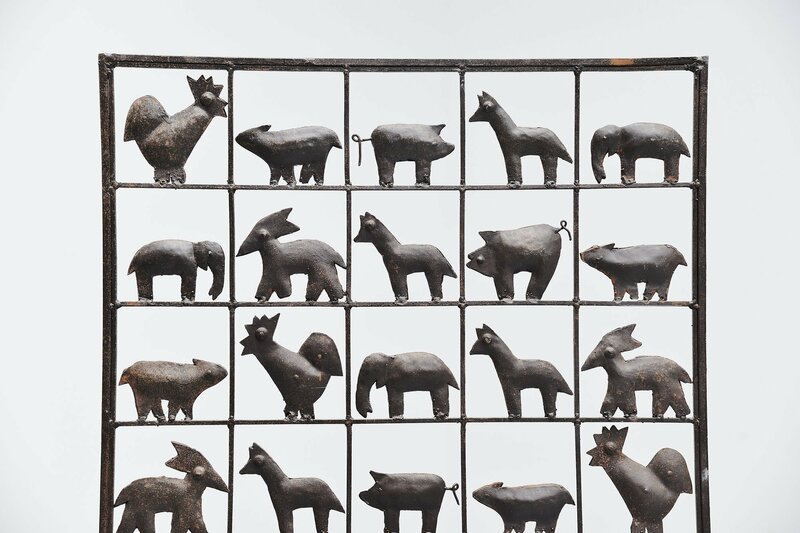 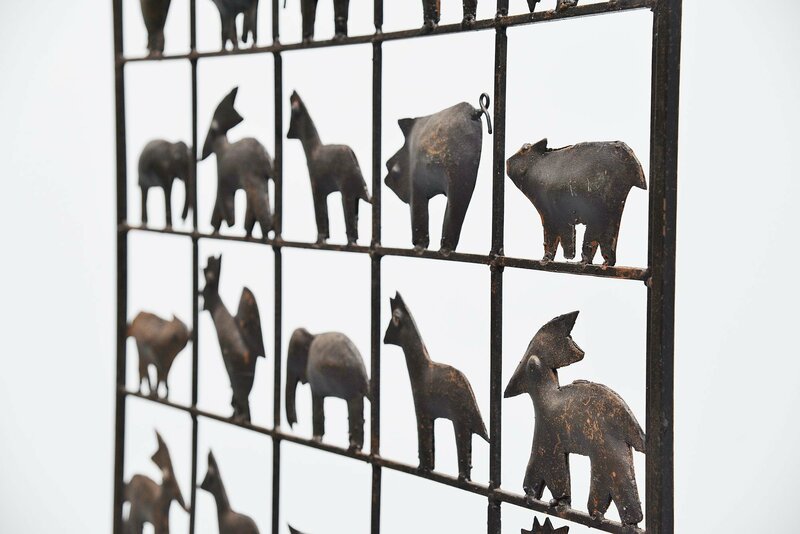 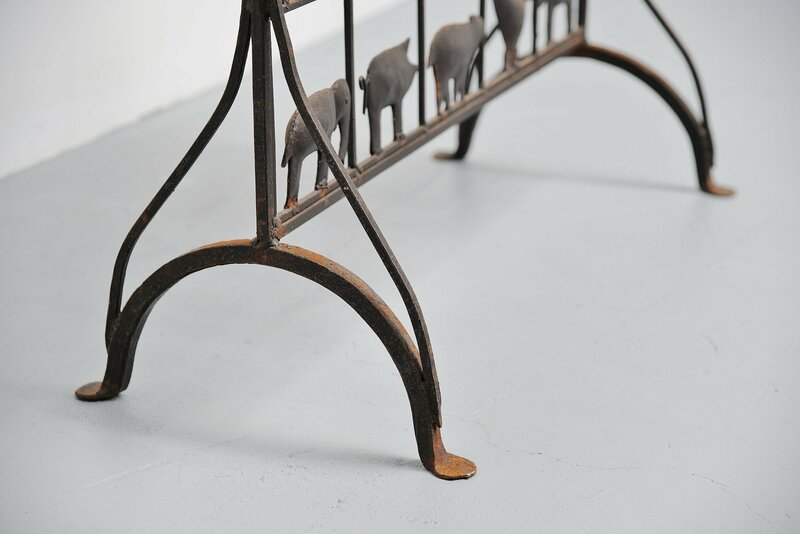 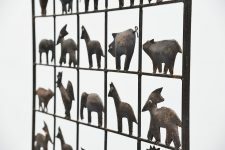 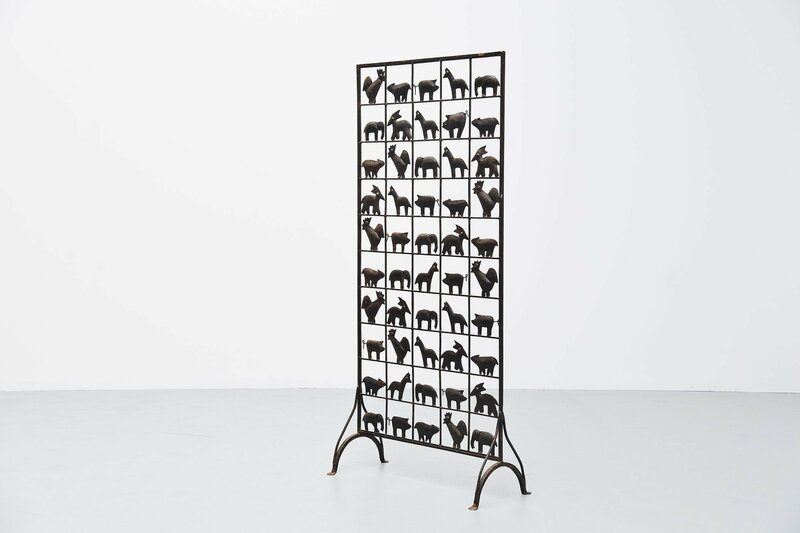 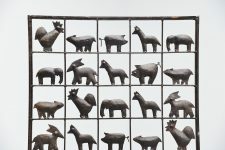 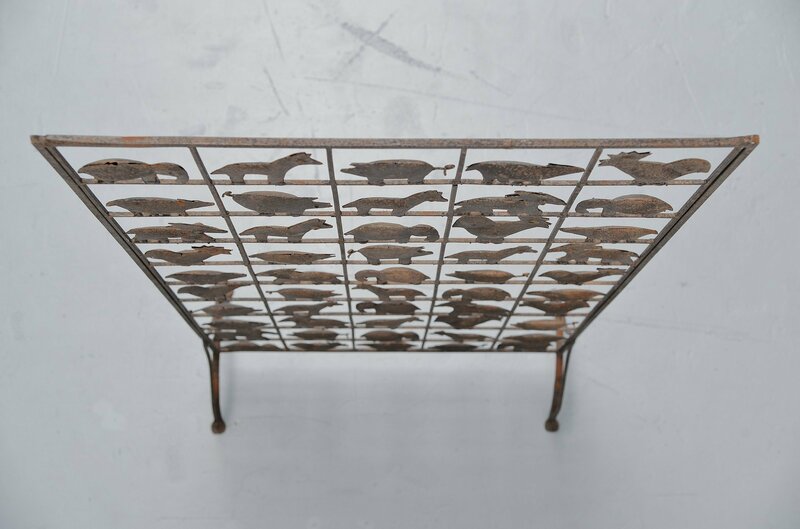 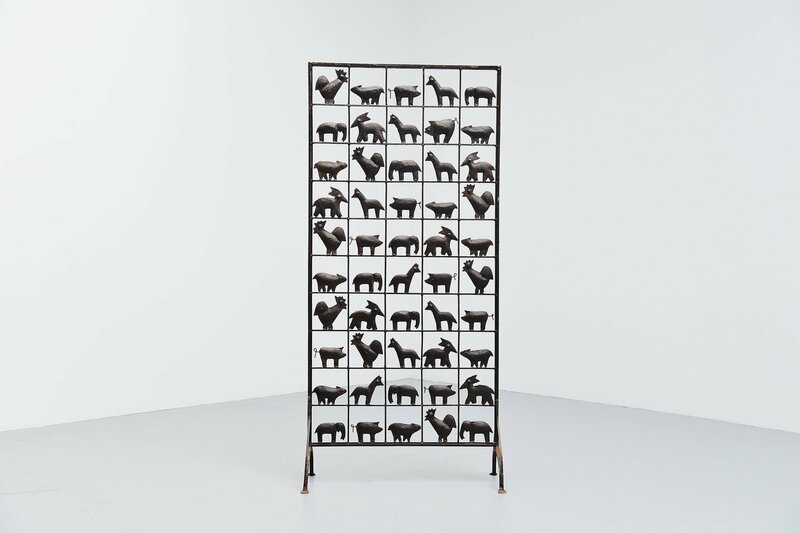 This screen is made of wrought iron and has animal shapes. 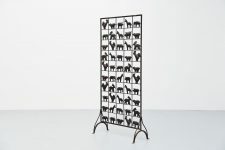 Very nice and decorative screen to divide spaces but not completely close them. 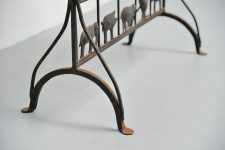 The screen has a very nice patina to the wrought iron and we have a similar screen available but since its all hand work every example is a little differently finished.